Unfortunately, this script is all too familiar: Robin Williams has become the latest “star” whose life ended prematurely, apparently a victim by his own hands. He follows a long line of actors and actresses who – whether through suicide or drug overdose – seemed unable to cope with reality, joining the ranks of recent stars such as Heath Ledger and Philip Seymour Hoffman. But this one really hurts. This is because – confession time – I used to be addicted to movies (watching and writing scripts for them), and Robin Williams was a favorite. He entertained me in Good Morning, Vietnam, caused me to laugh in Mrs. Doubtfire, inspired me in Dead Poets Society, and gave me a lot to think about – between all the vulgarity – in Good Will Hunting (a favorite in my younger years for many reasons – not least of which because it was set in Boston). I now, of course, question all the time I devoted to such a medium, wondering about its net effect on my overall development and character – and I certainly wouldn’t make any unqualified recommendations to anyone about any of his movies. But, whether good or bad, these movies – and Robin Williams – are a part of my history. It is for this reason, and many others, that I am very sad this morning – along with a lot of other people. At face value, Robin Williams seemed like one of the last persons who would be plagued by grave depression, ultimately leading to his own death. He appeared to be a genuinely nice person, who loved to make people laugh – and sometimes cry. There is a lot of discussion today about depression and suicide. These are important conversations. But what strikes me more than anything else – and this is probably a predictable target coming from someone of my ilk – is the industry to which he belonged. I can’t help but wonder how much that contributed to his beleaguered life and ultimate end. I wonder what the net effect of all this glorification of the “court jester” has had on the psyche of these Hollywood stars. It’s amazing that any of them escape the throes of major depression – if any of them actually do. We all love to induce laughter, or to bring joy, of course. Seeking to bring levity to someone’s heart can be – I think in theory – a selfless act. Yet there comes a time for everyone – whether actor or audience – when a person can no longer cope with trying to be someone else; when the pressure to perform – to be entertaining or evocative all the time – leaves one overwhelmed and feeling empty. And confused. And sometimes – many times – that turns people to some pretty tragic solutions. 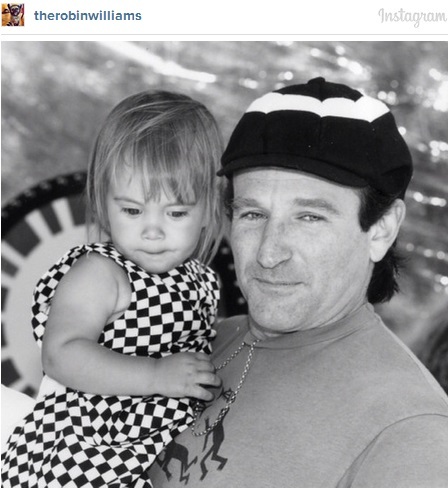 I didn’t know Robin Williams personally. The closest I came to knowing him was the time my brother met him in Napa Valley, while the former was attending Pacific Union College (he said he seemed like a genuinely nice guy). I don’t know all the varied and complicated factors – and there were, as always, many – that contributed to his depression and his death. And it’s probably apparent to many of us today that we hardly knew him – the real him – at all. But I do know that, at the end of the day, Hollywood – and the fame and fortune it brings – wasn’t his saving grace. What Hath Silver Spring to do with Salt Lake City? Adventism and Mormonism are often mistaken for one another. Some of it is due to the names of the Churches themselves since they bear moderate similarities (“Seventh-day Adventist” and “Latter-day Saints,” as well as their abbreviated forms “SDA” and “LDS”), while a lot of it is due to the insular nature of both denominations. What the average person probably doesn’t realize, however, is that the parallels between the two American faiths go even deeper. Both Churches maintain the presence of post-biblical prophets. Both Churches have a “general conference” that oversees Church governance. Both Churches place strong emphasis on health principles (especially abstaining from caffeine and alcohol, to name two). Both Churches arose in mid-19th century America, with each placing some significance on events that happened in 1844. Both Churches’ founders were born in quaint New England hamlets. Both Churches have, to a large degree, created an isolated sub-culture. Both Churches have “fathered” off-shoots that would consider themselves “fundamentalists” in their respective faiths, fully devoted to what they perceive to be the historic teachings of the Church and unhappy about the climate and direction of the “backslidden” parent Churches. Both Churches view themselves as the “remnant.” Both Churches are largely misunderstood – and, as a result, feared – by the larger Christian community. And both Churches are among the fastest growing denominations in America and abroad. There are a lot of differences, of course, but on some levels, the parallels between the two faiths are striking. I have exposed myself to some degree to the Mormon faith. My first real in-depth encounter was reading Jon Krakauer’s eye-opening treatise, Under the Banner of Heaven, in which he examines the history of the LDS church and discusses its present fundamentalist versions. Most Mormons would balk at Krakauer’s seemingly unfair representation of their faith, I suppose, but that is not necessarily my concern right now. As I read the book, I couldn’t help but read “Adventism” into much of what he wrote, mostly because of the conservative sub-culture parallels. I have also encountered and interacted directly with a number of Mormons and, just recently, stumbled upon a blog that is written by a Mormon. I couldn’t help but again see interesting parallels between the Mormon faith this author presents and the Adventism I grew up with and am a part of, both in relation to the culture and the overall gross exegetical and interpretive abuse from a biblical perspective. A few months ago, I was also given a Book of Mormon by a friend and have cracked open its cover a few times with the intention of getting farther than I ever do. Some day, I will get past the first page. But here’s the most interesting part of this whole topic: there is perhaps nothing else that causes me to question Adventism more than exposing myself to Mormonism. This is not, however, because Mormonism is right but because it is so obviously and glaringly wrong but doesn’t know it. This is not at all to say that Adventism is wrong. It’s just that I never want the truth of Adventism to turn into a mere assumption; something I take for granted but am unable to explain or articulate to someone that doesn’t own my assumptions. This is what I think happens with both Adventists and Mormons – especially those who have been lifelong and generational in their respective faiths. When I encounter Mormon rhetoric – even from a distance or up close – I am startled by the seeming inability to comprehend a worldview outside of its own. Assumptions have been long-held and, at this point, rarely demonstrated. The lingo and concepts are esoteric. Theology is rarely proven from the Bible but established on extra-biblical sources – church fathers and prophets – which are assumed to be unquestionably accepted by all. I am firmly committed to the truth of Adventism and believe it to be the most coherent – and beautiful – explanation of God on the planet. All our teachings are biblical. I also firmly believe in the prophetic gift of Ellen White – not as being equal to the Bible and the interpreter of it (as Mormons apparently view Joseph Smith and subsequent prophets) – but as one who has a relevant prophetic word for our time and, as the “lesser light,” points back to the Bible. That is not at all what my concern is. My worry is that we can – and do – easily go the way of Mormonism and become so self-absorbed that we talk only to ourselves, about ourselves, associate with ourselves, understand ourselves, and figure out how to grow ourselves. If this is our posture, then we become entirely useless and impotent. This is not a call to the liberalization and pluralization of Adventism. It is not a call to blur the lines between Adventism and the rest of Christianity and downplay our unique calling, mission, and significance. It is an invitation to end the cultural, self-absorbed, self-centered, cloistered, unexamined Adventism that I encounter so often – both in my own life and the life of others. Let’s take ownership of not only the culture of Adventism, but more importantly its theology – and the actions that naturally flow from that beautiful theology. And let’s make sure that that theology is founded on strong biblical exegesis and interpretation, free from short-cuts and assumptions. The truth is, I do not believe it was a mere coincidence that these two faiths arose around the same time in America. Something tells me there were supernatural forces at play, orchestrating the rise of both denominations – one, of course, for the good, the other to counter the good; one to be an accurate reflection of God’s heart of love once and for all, the other to distort that picture; one bearing many similarities to the other so that when it is rightfully rejected, the other is sadly rejected along with it. Thus, it is a call to be all the more intent to present to the world that picture of God we have been blessed with rather than the culture we have become all-too enamored with – and to do so by using language and actions that the world understands. *To read more on this interesting comparison, as well as pretty fair and objective treatment of Adventism as a whole, see Seeking a Sanctuary: Seventh-day Adventism and the American Dream, by Malcolm Bull and Keith Lockhart.